Binasco — Oct 31 2018 — Today KFI announced the upcoming availability of the NAUT Label Printer, enabling early adopters (KFI customers already using NAUT printers) to request prototypes for their evaluation. “Following the great response we’ve had to KFI’s 2 and 3 inch panel receipt printers, we’ve been seeing increasing requests from the food and medical sectors, for KFI to develop a label capable model” said Giacomo Caserini, Director of Sales at KFI Printer Division. “We think we’ve hit the nail on the head by adding this new capability to the existing NAUT Series, building a drop-in substitution for the very popular and reliable 2 and 3 inch panel printer”. 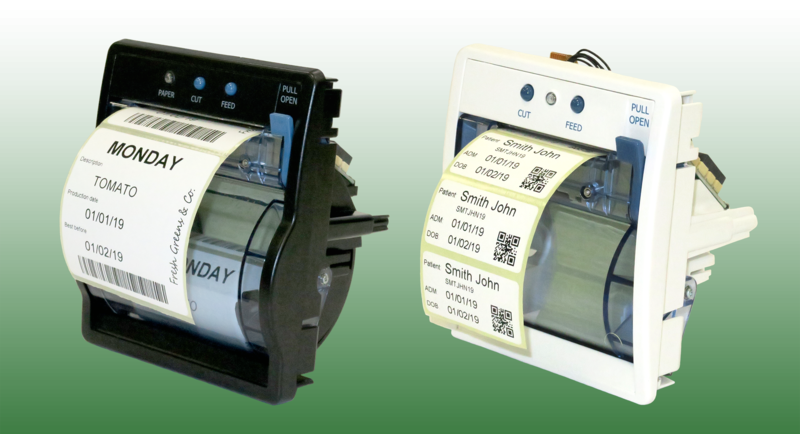 Many companies see the benefit of integrating a front-loading label printer into their own applications, rather than bundling a specialized external desktop label printer. A company in the Security sector recently committed to testing KFI’s new product in one of its slim kiosks. The NAUT 324 “L” will enable the security company’s Visitor Self-Check-in Kiosks to print disappearing adhesive ID badges for visitors to wear around its clients’ facilities. The use of disappearing labels in this application (which differ from standard labels in that the print fades away over a period of only hours) eliminate the need for collection or manual invalidation of the visitors badge. The new NAUT “L” label printer is an addition to the existing NAUT family driven by customer feedback and is part of KFI Printer Division’s commitment to deliver innovation and continuity in its product lines. It is important that KFI’s customers be able to count on consistency in the way new printers integrate into their applications: KFI is happy to announce that current NAUT 324C and 224C customers can expect to test the “drop-in” software compatible label printer as early as Q1 2019. Or use our website Contact Us page.